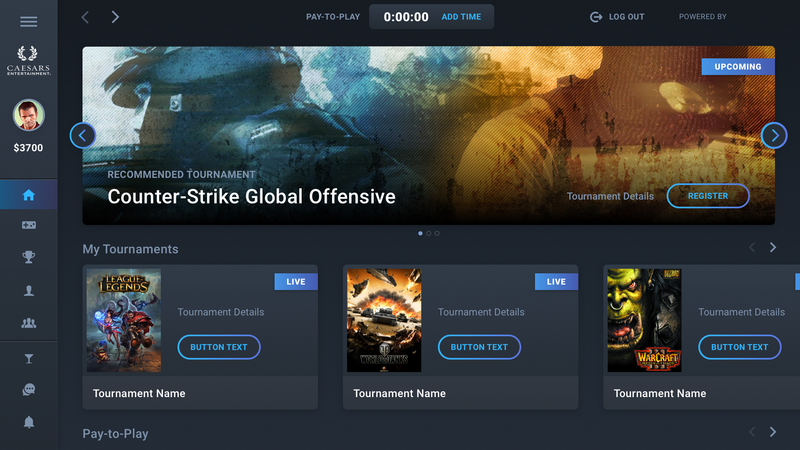 Specialized white label social media platform designed for gaming tournaments and leagues. 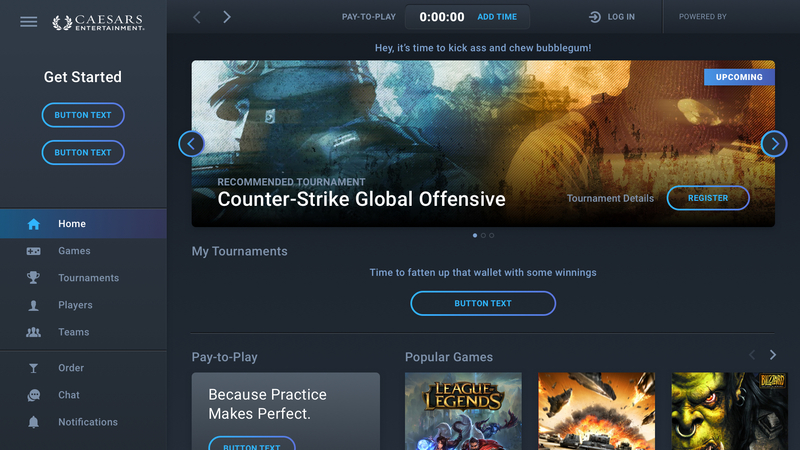 Verso teamed up with Oomba to create a specialized social media platform for gaming tournaments and leagues hosted by brands like Caesars Palace. Oomba has revolutionized how people engage with games by offering a social component with their software. Verso designed the UI for this white label product. The white label shell is designed so brands can easily influence visual design without affecting experience. The beta version uses a simple blue color palette to create an elegant and modern UI. the featured games on the Oomba platform. 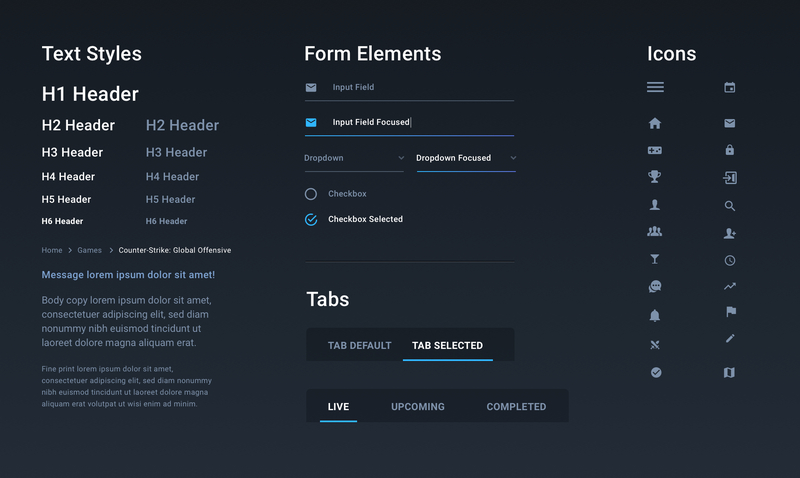 We used Google's Material Design to create our UI – using Roboto only seemed appropriate. Simple, geometric, and as mechanical as it is nimble. 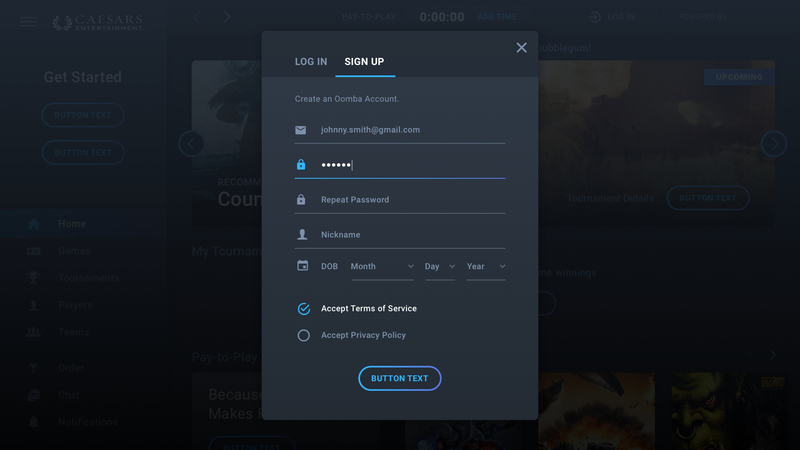 The colors are customizable by the brands that use the platform, however for the beta version we chose a classic technology color way that felt modern and looked like a gaming UI.